Nauman is an humanist sans-serif typeface created by Jonathan Hill and published by The Northern Block that contains 20 fonts, 10 weights and their italics, over 800 characters, 7 variations of numerals etc. It is ideal for web and on-screen applications. 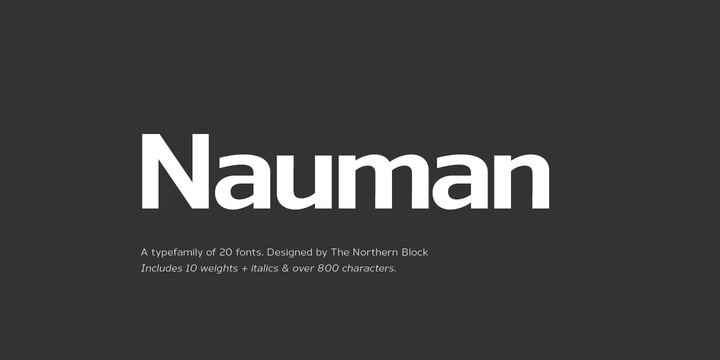 “Nauman” is a trademark of The Northern Block. A font description published on Thursday, December 19th, 2013 in Fonts, The Northern Block by Alexandra that has 3,831 views.